God games are cool. They're one of my favourite types of game.The events of recent days have broken my heart. 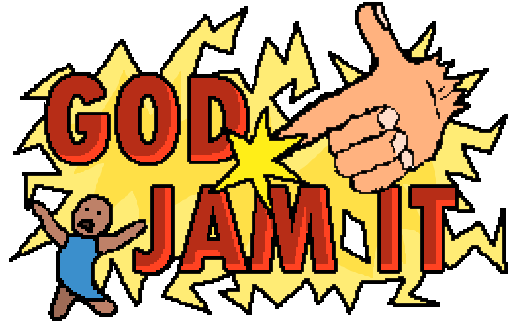 So it's my plan to show off that this genre can be amazing and cool and awesome, and that you can make some excellent god games in 24 hours! According to Wikipedia, home of the combined knowledge of all mankind, "A god game is an artificial life game that casts the player in the position of controlling the game on a large scale, as an entity with divine/supernatural powers, as a great leader, or with no specified character (as in Spore), and places them in charge of a game setting containing autonomous characters to guard and influence." Please join me on the weekend starting the 21st of February to make something cool, something godly, something that can truly show how fun a god game can be! We are afraid that this event if for 18s and over, sorry! You can form teams of up to five people! If you are making a game for this jam we ask you to use one or more of the following modifiers to make your design task more challenging! Try to be adventurous with what you choose! On the 7th Minute God Rested – Players can only affect the game for the first 6 minutes and then have to watch the game unfold. Something Like The Old Days – The game uses an art/graphical style based on an old/ancient religion (such as the one practiced by the Ancient Egyptians or the Norsemen). The Word of God – Commands are the only interface for this game. Too Many Worlds – This game takes place over multiple worlds that the player has to try and manage at once. God Of Gods – This game has a 'god of gods' who dictates what the other players are allowed to do. The Apocalypse – This game is all about destruction and rewards the player greatly for it. Down Below – This game takes place in a Hell or Underworld. My Followers Are Morons – The game is all about keeping your stupid followers from accidentally killing themselves. The Sacrifice – The player requires sacrifices to do anything useful. Divine Right To Rule – This game is about ascending to godliness, rather than being a god. Divine Intervention – The player takes on the role of a god with a drinking problem. Curiosity Killed The Cat – The game can take multiple inputs from many people at once. The Hills Doth Rise – The game's primary mechanic is terrain deformation. Lazy God – The game only uses one button. I Want To Live Like Common People – Players take full control of the god's worshipers during the game. Red is bad. Lava is bad. Dinosaur is bad. Fire not so bad. Water is good. Game that involves taking control of your civilization to gather resources and build a village (unfinished).